UPDATE: Imbiss 204 sadly closed its doors for good at the end of 2017. Even more sad is the fact that no one else makes buletten in the same quality as these guys did and they left a gaping hole in the city’s food scene. 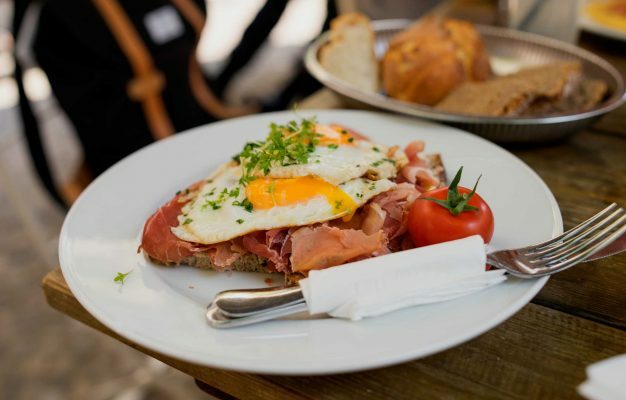 Check my other recommendations for German restaurants. 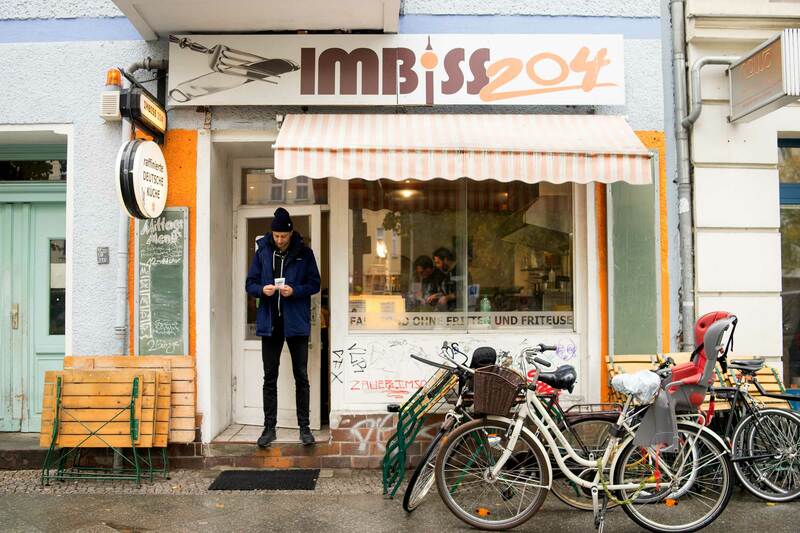 Imbiss 204 is a tiny restaurant on Prenzlauer Allee that has the looks of your standard Currywurst shack but the food of an upscale, German restaurant. 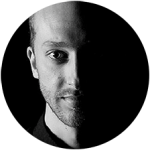 Pay it a visit for a surprisingly sophisticated dining experience. It’s one of those places that I passed countless times without entering the door. The word Imbiss usually signals fried food, sausages and döner kebab of moderate quality, so nothing which really gets my attention (DER Imbiss on Kastanienallee being an exception). 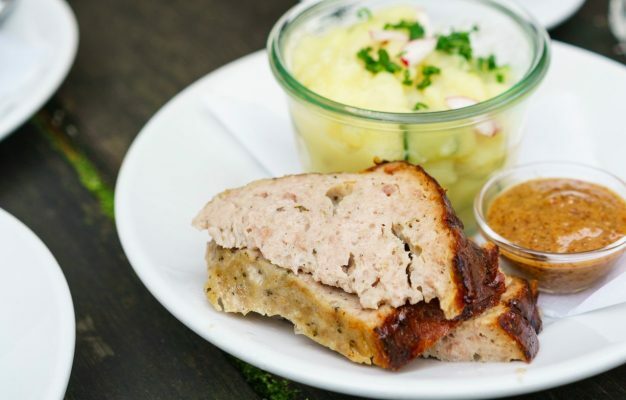 One day though a friend of mine, who cherishes proper, honest German food, directed my attention to this place and soon thereafter we visited it. The venue fits about 14 people and you have to be a bit lucky to get a table. It’s a tiny venue, kept very simple with the imbiss-style kitchen right in the main room where the two chefs cook up your dishes and where you order and pay your food. You also have the standard fridge in the corner where you get your own drinks. This is where the simalarities with your local Imbiss end though. Because at Imbiss 204 the two cooks are very serious about their food. 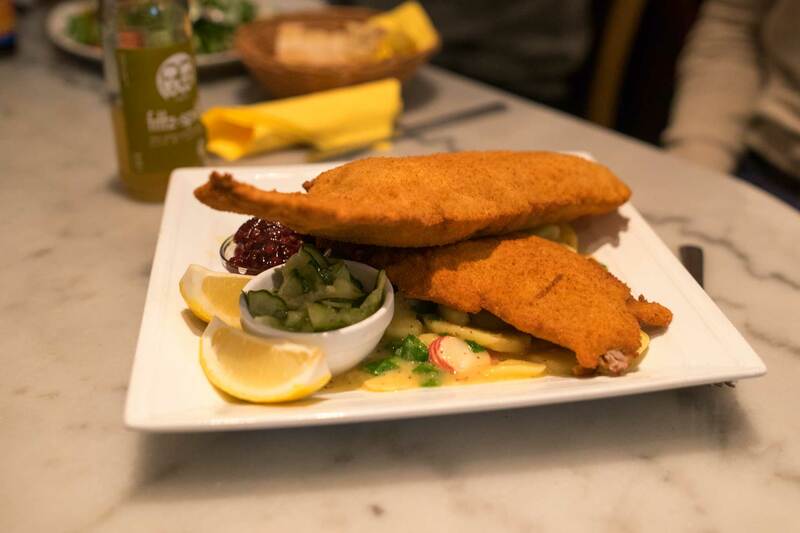 There is a standard menu with classic dishes like the Bouletten (minced meat patties) or the Schnitzel. 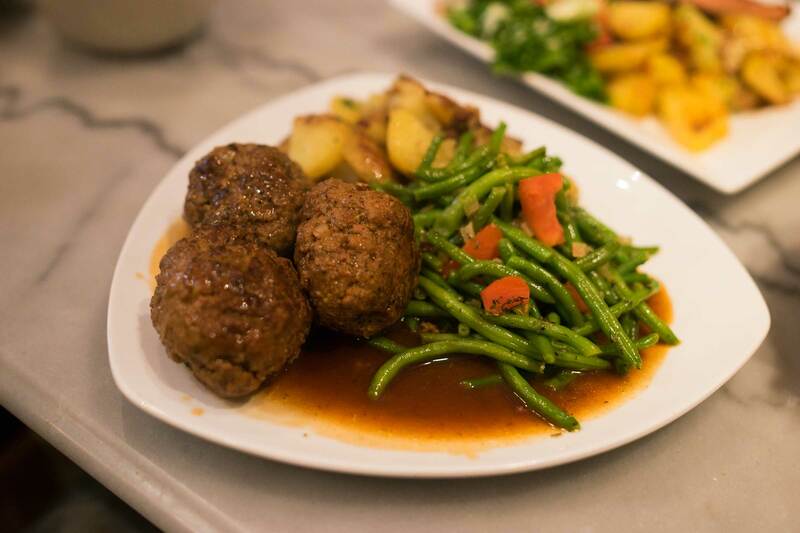 The Bouletten are some of the best of it’s kind in the city, for 8€ you will get a monster portion with potatoes, veggies and gravy and you will reconsider all other Bouletten you had in your previous life. 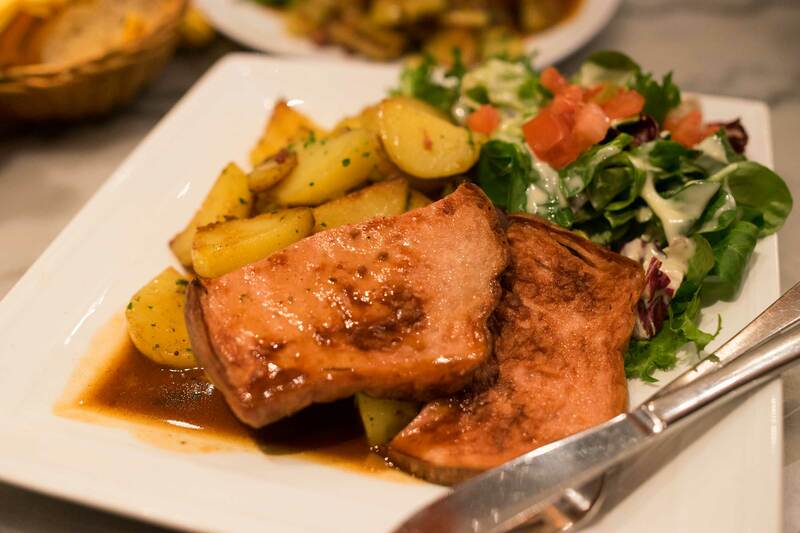 There are also 3-4 weekly specials, take the dish below for example, a classic Sauerbraten in red wine sauce with fried potatoes. Very well cooked meat, a great dish. Or another dish wich really surprised me was homemade Liver- and Blood Sausage, both of stunning quality. The food at Imbiss 204 is honest and very well cooked and the portions are also huge. The Bouletten portion is in fact so massive that a couple I know usually shares it between them and still walk home stuffed. Something which deserves an extra note are the extraordinary sauces and gravies. At Imbiss 204 you don’t get the standard stuff, watered down and artificially flavoured. No, this is the real deal, thick and packed with flavour, made from scratch with real stock. 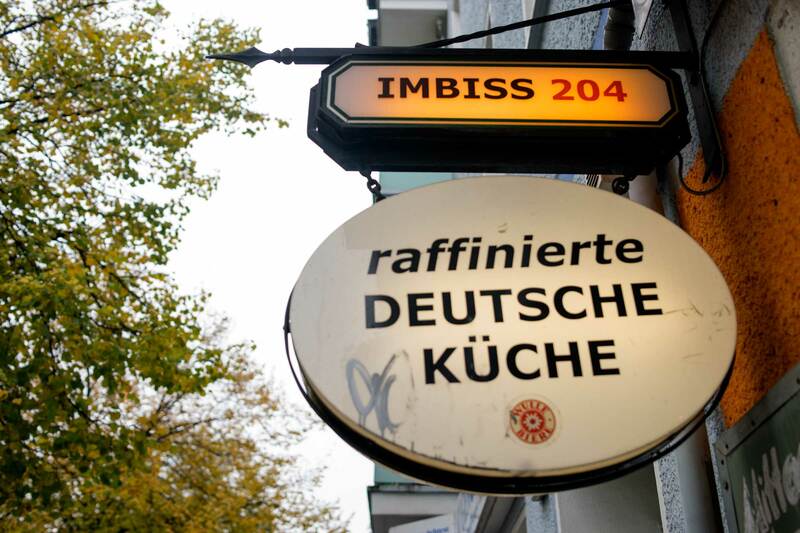 Imbiss 204 is a great place to get some good, unpretentious German food in a simple and relaxed setting. The prices are definitely not imbiss-like, the weekly specials will cost up to 13€. 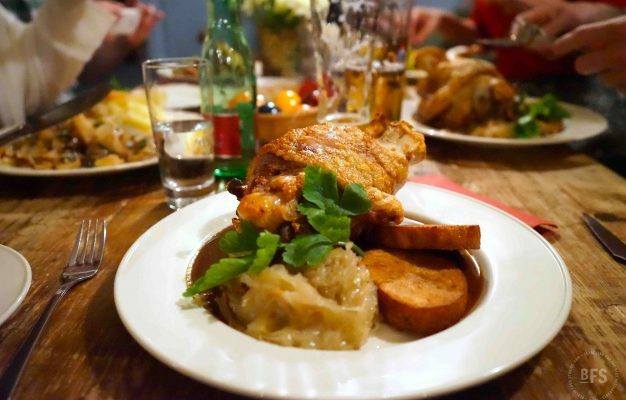 This might seem much for the venue you’re in but at the same time you will pay twice that price at a trendy restaurant in Mitte for the kind of food you get at Imbiss 204.